With IBM Campaign (formerly Unica), you can design, execute, and measure campaigns across all of your channels, and generate leads and convert them into loyal customers. 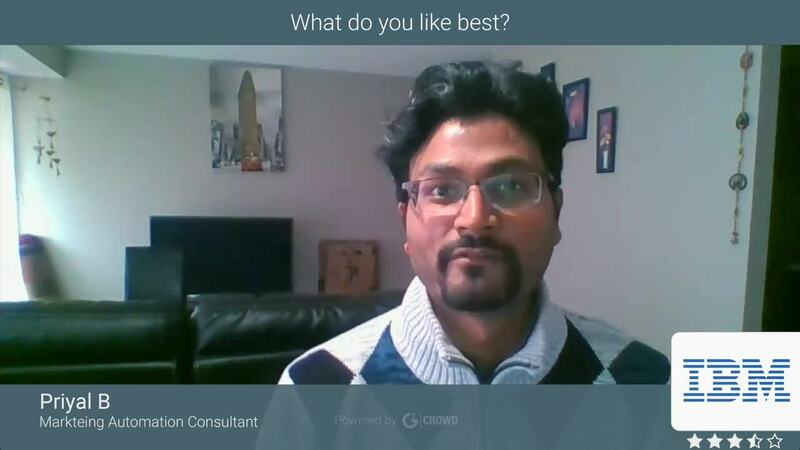 "The best thing is the integration with all IBM products"
"IBM Campaign is best in class"
Power and flexibility to connect to almost any database as well as files. Some of the newer integrations are not native within Campaign, but are achieved through the use of IBM provided scripts for integrations. Make sure you have solid data skills and curious end users in order to get the most out of IBM Campaign. While non-technical users can execute campaigns, it all comes down to how you have configured the software and how your data is structured. Get the basics right and you'll have a great experience with software that is very powerful and very mature. Customers who have on premise data that they need to leverage for driving outbound campaigns. Inbound Campaign functionality can also be supported by providing inbound channels with next best offers to select from. Inbound real-time capabilities can be bolted on with Interact. We have implemented sms and email channels. We are using marketing operations, campaign and optimize modules. Those help us to plan, design, archive and apply our contact policy rules to all campaigns. "Excellent platform for campaign management with flexibility for use of data"
I like that the platform was one of the first campaign management platforms and that it has flexibility for different back-end databases. Since IBM Campaign was one of the first marketing automation platforms released, it has had to catch up to newer platforms in terms of features as time goes on. But this has been addressed in subsequent versions of the platform. Make sure that you have done due diligence as far as gathering your data that is needed for campaigns and connected systems into where it can be used by IBM Campaign. Make sure that you train your admins and power users so that they are well versed in how IBM Campaign works before you move into UAT and go-live. Support is very intelligent and responsive and the documentation on the entire platform is very good. IBM Campaign has been very good to implement for companies that have had little to no automation of their marketing campaigns before. Its stability and data flexibility have proven useful for companies that have large databases and data that is stored in different sources. "IBM Campaign, released before testing"
easy to use features allow marketers to use data like SQL programmers. It's pretty powerful. long run times. Latest version doesn't "snap" to a grid, making flowchart graphics look mis-aligned. don't leap to the new Version. I believe my company may be the largest user of this program. I do not think it was adequately tested in the volume needed before it was rolled out company-wide. Some of that may be server capacity on our end, but IBM should have partnered with us for a smoother transition. Instead, I felt like we were testing the new version for them. targeting marketing campaign lists: list development and campaign testing. We do not use the scheduling features. The application is database agnostic and will work with a number of data sets. It makes segmentation easy and mining large data sets is a breeze. I regularly work with millions of records and can really hone in on my targeted audience in an easy to follow flowchart layout. The user experience is AWFUL! There are regular occurrences where the system will hang or lock up entirely. Menus are inconsistent from screen to screen. The software still has trouble running on modern browsers correctly. We execute many campaigns through this software. It is great for filtering large data sets down to a more targeted audience. "IBM Campaign has me excited for the future..."
The amount of content that they're pushing into IBM Campaign. It'll be exciting to see what this year has in store. There isn't much right now to dislike. I guess if I had to say something it would be them not keeping promise on their word. We're solving how to automate better and alleviate our workload so we can focus on other tasks at hand. Hi Richard - Thanks for your feedback! We're happy to see you're as excited about the future of the product as we are. However, we would appreciate learning more about any promises that weren't delivered on by our team. "Very robust & optimum Segmentation tool"
Having worked with other similar tools, Unica Campaign has been the best by far. Like the UI, it has the right usability/features. Pull the data list for smart segmentation. Unica Campaign has been by far the most efficient for multiple segmentation. Hi Vipasa - We're glad to hear you're finding the UI and features of IBM Campaign so useful! We also aappreciate your feedback and thoughts on where we can make updates and improvements. IBM Campaign allows you to develop processes to collect and process data from multiple sources for marketing campaigns. The processes can be easily made into templates that can be used for subsequent campaigns. Strategic segments can be created for ease of use in campaign flowcharts. Flowcharts can be scheduled or executed by inbound triggers and send outbound outbound triggers for subsequent processes. Contact history can be automated and easily integrates with IBM's email client. The recent purchase of Silverpop by IBM promises incresead functionality for email marketers (including Salesforce integration). Campaign leaves temp tables in the supporting database that need to be cleaned up. Migrating flowchart templates from development to production environments is problematic. System errors are difficult to interpret. Difficult to map to files. Cognos reports are difficult to customize. Purchase eMessage/Silverpop for well-integrated email marketing capability. It takes a while to work bugs out of installation and to becomecomfortable using the tool. It helps to be familiar with the data and have SQL programming capabilities to effectively use the tool. Automated campaign execution and maintaining contact history. Consistent use of processes through flowchart templates and strategic segments. "Unicas flexibility allows us to execute many creative, long-term tests for Contact Optimization"
The ability to execute raw sql through the Unica tool. Also the fact that logs can be used to determine what sql is being run on each box in a campaign - makes development so much easier. My standard response to Marketing Managers, when they ask if the campaign team can execute a test for them is, 'through Unica, we can do anything you want us to'. The fact that the behind-the-scenes Offers table differs on the demo and prod databases. Mappiing in Offers can be a tedious task, and must be done every time Maillist boxes are migrated from Demo environment to Prod environment. Talk to others using the tool - how complicated is your customer selection and how often will your campaigns be changing? Does the tool support constantly changing selection and testing. Unica enables our business to execute Optimal frequency and amount of touches of our potential customers. We have the ability to store keys of customers to perform frequency of mailing tests, and to do back-end analysis of those test results. "Unica Campaign Review (from a Sr. Mgr of a telecommunications company)"
The "friendly" interface for users who are not necessarily proficient in SQL; feeds into reporting DBs. There are reporting limitations within Unica. We mostly have to dump data into a SQL interface for most reporting needs. List creation/tracking for direct mail, email and telemarketing. "Great tool for email/direct mail campaigning"
I enjoy the flexibility of the tool to create large and complex segmentations with some very quick selections. It makes it easy to maintain different groups for control and holdouts easy and it's able to add new tables. The interface could use some sprucing up to bring it up to speed of what we currently see on the web. Also, it'd be great to create some automation where you could split test a campaign but the test can create two different files based on cadence testing. We came across this problem and couldn't solve for it in the application. This is allowing us to create campaigns across many different brands very easily and to create a lot of different holdout and control segments with the ease and flexibility we wouldn't be able to do it using just an email service provider. The amount of flexibility in the tool is providing an amazing ROI on campaigning time and revenue. "Very Good Product - Recommend it. " The ability to track, manage and update a project quickly and efficiently. It allows both project owners and contributors to interact, add and edit documents, approve and comment on projects and keep everyone aware of the projects status. It is a very detail oriented software capable of keeping complex projects with various elements on time and keeps all the players and stakeholders in the know. It's a long-term commitment but well worth it! The editing section should be more user friendly and more intuitive. A lot of time can be taken up just navigating through the document editing sections and the scheduling section. It's VERY involved. Hire a an integrator and educator! Train, Train Train! Getting a consultant to help with training and implementation is even better! Workflow issues, timeline, approval issues are all solved. Increased timeline effeciencies, improved tracking, accountability issues have decreased. "St. Jude IBM campaign manager exp." The capabilities it has with our database and the interface. Looking forward to the upgrade. Nothing honestly we just need to upgrade to the 10.0 version. Hi Brandon - We appreciate your feedback! We hope you'll share your thoughts on 10.0 after you've had a chance to use it. Upgrades are very cumbersome and not enough documentation to help walk us through it. Thanks for your feedback, Nirmal! We hope the product continues to be useful for you. "Unica is a powerful tool used to create segmentation in order to deploy direct mail campaigns "
It's much faster than previous software systems and it's easy to train new employees to have them get started with some basic work within a few days. We are on an older version so I'm not sure if some of the quirks about it have now been worked out. I sometimes feel constrained to certain processes and at times it would be helpful to see the data and not just a count of customers each time. We use it to deploy direct mail campaigns in a timely manner. It is nice that it allows you to copy and paste older campaigns and then allows for changes to be made to customize the new campaign. "A Faster/Easier Way of Segmenting and Implementing Change"
By creating one flowchart with Unica, you can pull data in one step and use it over and over again instead of building a database each time. In my line of work, we create a database for every data set we pull. But with Unica, it eliminates those extra steps and saves time. Now, we can just copy the template to the template library and use it however mayn times we need to. I also like that the tool alerts you when you have a discrepancy so this makes it easier to catch errors. The flowchart will not run until you correct the discrepancy. There have been a few occassions where the tool has frozen and the flowchart becomes corrupted. When this happens, I have to rebuild the entire flowchart. It has only happened to me twice and it very well could have just been a problem with my server. It also can run at a very slow pace at times. But overall, it still gets the job done in a timely manner. Once you learn the language of the tool, it becomes easier to understand the concepts. It took me a few tries to get familiar with it. Anytime I run into problems there is always a support team ready and willing to help. There are a few features missing from the tool but I believe these will be provided soon. I like to use the snapshot process box in my flowchart to see the data that was dropped from the segmentation step. This lets you know the records that were excluded; so I can look back at certain segments and see why they were excluded. In most cases, there is an error in the coding of the segments. Again, this helps to prevent errors. It's sort of a checks and balances idea and it benefits greatly when pulling datasets. "Unica is a great overall campaign managment software with good automation features." Unica has a simple format that is easy to digest. There are not a lot of unneeded icons that make the screen space smaller. I also work on SAS CI and it took a while to get used to all of the different icons. Unica has a great waterfall feature that I also do not see in other software. It makes it easy for the end user to be able to share results without having to manually add processes to get to them. It would be nice if there was an easier way to create special process nodes to be able to pull data that may not be mapped in the format that I need. This kind of manipulation usually requires a view change, which I usually do not do. Great product. Worth the investment. Take the time to get the database side correct before implementing. We use Unica in order to send DM and EM campaigns to health care professionals. We use it to be able to segment out the HCPs by different variables, marketability, etc. Finding talent that is knowledegable for administration. Most qualified resources are hard to find. Offer arbitration for multiple connection channels. We have been using Campaign to effectively communicate to our members for over 10 years. The tool's efficiency is industry-leading and can support multiple input formats, which allows us to consolidate all areas of the business into one, simple, streamlined flowchart. The only dislike I can think of is really an issue with the platform Campaign will sit on to acquire the necessary data. If the database is not setup appropriately, which may require above-normal raw SQL coding vs point-n-click "development", you may find Campaign less efficient than it could be. But again, this is a factor (or limitations) of the platform, not so much Campaign. be sure you have a platform/database built to maximize the efficiencies of Campaign's processing. Campaign provides a simple and efficient, visual, streamlined workflow that provides the necessary audit to create impact communications to our members. Ability to build queries without having to code. Having to switch to different platforms in order to have access to other tool, such as email insights, engage pod 1, ect. We are trying to build segments based on website and email actions/behaviors. Currently we have built queries that track this, then send triggered emails based off of consumer's actions. "IBM Unica Campaign is by far the best marketing tool available in the market today." Ease of use. I can quickly build a campaign and if necessary make quick modifications quite easily. I can also save my design off as a template for reuse later. Talk to Epsilon for all of your marketing needs. I install, design, use and support dozens of clients in many different verticals. I have seen directly the benefits the clients receive in ROI and shortening their typical delivery time. "Marketing campaign Development Team lead "
Ease of use! Very intuitive for users. The flowchart design is logical. Full serve direct, email & social campaign. The flexibility to work with our disparate data sources, as well as scripting tie ins. The 'Unica' SQL is much more picky than normal SQL. At times, this causes us to have to build temp tables to accomplish what we need. Email / Direct Mail, with a focus on suppressions to ensure we keep our customers happy. IBM campaign (Unica) is still the best campaign management tool in the marketplace. It’s ability to connect to multiple data sources is what sets it apart. IBM Campaign needs to evolve somewhat around additional features such as social. UBX can be cumbersome as well. "Comprehensive user friendly Campaign Management tool"
User friendly. All the boxes like select, snapshots and other are comprehensive and detailed. Easily identifiable if it's running or not. Modular nature of the flowcharts makes it comprehensible. Mapping tables and viewing Stored catalogs is a little tedious especially when you are new to the tool. I create Marketing campaigns for my client and the client has definitely seen immense business results with their marketing campaigns that was designed by us specially catering to their business needs. Converted quite a many leads for their business. Its one of the easiest tools to learn. You just have to know basics in SQL. Makes you forget basics database/Sql after using Unica, I have been working on Unica from 3 years now, I really don't know where I should go next as I lost touch with databases. I feel that you cannot go out of Unica once you get in. I'm using this for DM/EM/TM campaigns, its beneficial for large campaigns, as small campaigns can be done in SQL too. "A good batch process with capabilities to integrate with Interact"
The integration capabilities to the other IBM products as well as UBX connections. Executed more campaigns more quickly to drive business revenue and were able to templatize reoccuring campaigns. 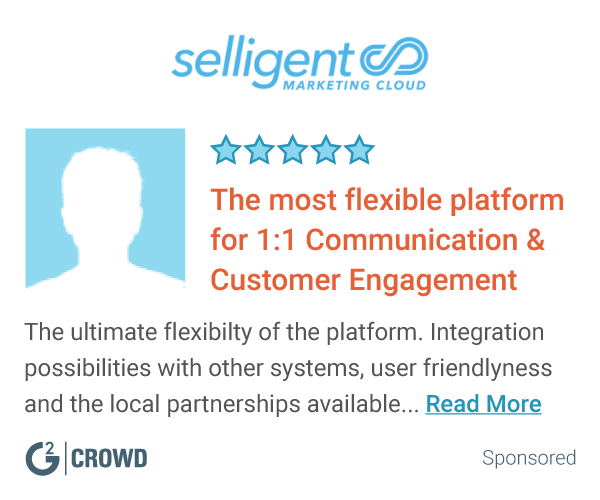 "Solid full featured product that needs to be brought into the Cloud and Cognitive era"
Full featured support for running global multi-brand campaigns. Good sharing of data with inbound and outbound. Lack of SaaS support, lack of clarity in terms of integration with Watson services, poor out of the box reporting. Running multiple global complex campaigns - segmentation. Thanks for your valuable feedback, especially around the areas where we can make improvements in our support and communication. We're continuously working to improve and enhance each and every feature of this tool. It is really nice being able to re-use flowcharts for promotions that we run the same every month. It is also way easier to segment guests into recipient groups than other programs. It can somestime take a very long time to run a flowchart. We are finding guests who qualify for promotions based on certain criteria. It makes it easy to find those guests & requires a lot less work than other programs. I love Unica. The interface is clean and simple and there are a multitude of things you can do with it from setting up offers to creating campaigns. The only thing I dislike is that when I kick off several things at once I've noticed they all tend to run a bit slower than normal. I use unica daily in my job as a campaign analyst. I frequently create offers, campaigns, and flowcharts. "Supervisory experience with Campaign...the tool has worked well for us"
Campaign has been an effective tool at managing the numerous direct marketing campaigns we run through email and SMS. We have issues with the Unica dashboard not showing up properly. Campaign helps us manage the various campaign types we run both globally and regionally. While we originally had stability issues when we first implemented the tool, it has been quite stable for some time now. Unica provides solid metrics on our websites. We are able to provide KPI reports to our internal customers with relative ease. Tagging of our websites can be complicated at times. Providing utilization metrics for our websites. The product helps us to know our customers. Ease of development. Fantastic tool to get campaigns built quickly and deliver them to market. Wish the tool had more developer type options for processing difficult data requests. Enterprise wide email campaign processing using both automated and manual campaign processing using Unica Campaign. Delivering over 600M emails per year and generating over $600M in online and offline revenue. "Unica is a perfect fit for your enterprise EMM solution"
The integration efforts that IBM and business partners have taken on to truly integrate Unica with the Smarter Commerce solution has set this package apart from its competition. As a best in breed solution Unica gives full power to a marketing, communications and IT organization to drive customer engagement to its fullest. The campaign management functionality that Unica Campaign delivers to an organization is highly customizable and provides the deepest level of analytics in the market today. Unica is a very robust enterpise level application. The resources and time it takes to manage this application are not to be under estimated. This is not some simple tool you plug into your marketing team and you convert and retain more customers. Run your evaluation through a business partner like Rosetta to gain the full understanding of how your organization can leverage this industry leading EMM tool. "Unica Review from Developer Perspective"
Ease of use, pretty straight forward. Excellent way to manipulate and extract info from db for marketing purposes. Outage issues and small quirks that Unica does not always notify users. Reporting tool is great feature, can drill down and share data with my business partners. GUI & Segmentation features. Custom attribute value assignments. Solving CRM problems using IBM Unica. Easy segmentations & Versioning. Thanks for sharing your feedback, especially on where we can make improvements in regards to the error log. We're continuously working to improve and enhance each and every feature of Campaign. "User friendly and keeps everything on track"
I appreciate the ability to track, manage and rearrange a project quickly and efficiently. IBM Unica's EMM software allows both project owners and contributors to interact, add and edit documents and keep projects moving smoothly. There is never any question about a project's progress. I would like to see the editing section a little more user friendly and more intuitive. I spend a lot of time explaining how to navigate through the document editing sections and the time frame/scheduling areas. 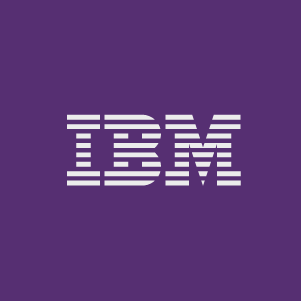 I highly recommend using IBM Campaign & Leads (Unica), it's a very active, detail oriented software capable of keeping complex projects on time, under budget usually and keeps all the players and stakeholders in the know 24/7. A+ for sure. "Unica provides a great experience in working within the Digital Marketing World"
"10 years as client, employee and now business partner"
It's flexibility - every question can be answered, sometime with a bit of left field thinking. Its ability to manage targeted marketing campaigns and recognisable value quickly is key. Extending the reach of Unica Campaign into the business with additional bolt on capabilities. It's flexibility - 3 campaign developers can easily answer the same brief in 3 fundamentally different way, therefore it is essential that any organisation using IBM Unica Campaign works to identify their own "ways of working"
"Rocks in user experience and adaptability and connectivity"
Setting up Unica is a pain if you are not an IBM shop. So from an infrastructure perspective you need really good people to make it all work for you. Even the IBM solutions teams do not have great people on their staff who know the solution end to end. So it really boils down to hiring right people internally to guide the solution. Think of it as a platform and not just a solution.think long term success and you will be fine. "Its about the desire to shift costs away from IT and into Marketing OPS"
: Ability to think in terms of Reusable "Populations" rather than reusable "logic"
"Unica's Affinium Campaign - a very user friendly solution to handle even very complex campaigns"
User friendly GUI is very intuitive and makes understanding the flow of the campaign very easy. We had huge issues with the processing time since we accessed millions of records. however, it could be a combination of network related and tool related issues. Ensure it's configured well. Also, test, test and test because there are some nuances about the tool which are evident only when you use it. * We monitor all IBM Campaign reviews to prevent fraudulent reviews and keep review quality high. We do not post reviews by company employees or direct competitors. Validated reviews require the user to submit a screenshot of the product containing their user ID, in order to verify a user is an actual user of the product. Hi there! Are you looking to implement a solution like IBM Campaign?